Deep-diving animals collected data that could be used to sharpen projections of rising seas. A squad of seals living off the coast of West Antarctica has provided scientists with data that could help to improve estimates of future sea-level rise. 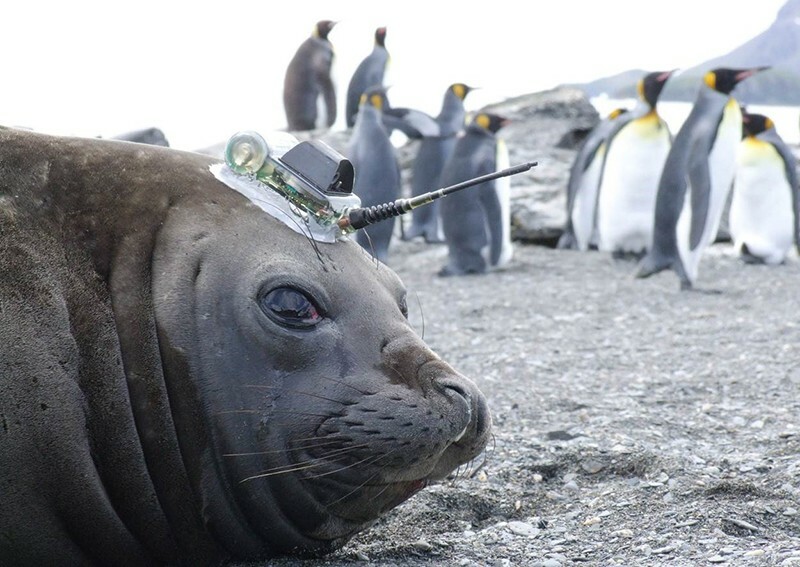 Researchers equipped the roly-poly marine mammals with sensors that measured temperature and salinity in the Amundsen Sea. This remote and understudied patch of ocean could be accelerating the melt of the West Antarctic ice sheet, so year-round information on water conditions is key to predicting the ice sheet’s contribution to the world’s rising oceans. The study, published on 14 May in Geophysical Research Letters1, reveals that a deep-water current known as the Circumpolar Deep Water (CDW) is bigger, warmer and saltier in the winter months than in summer. Last month, Britain’s Natural Environment Research Council and the US National Science Foundation announced the International Thwaites Glacier Collaboration. The 5-year, £20-million (US$25-million) project to study the receding Thwaites Glacier will send Mallett and her co-authors back to the Amundsen Sea in 2019 to extend their data set with another group of tech-savvy seals. Mallett, H. K. W. et al. Geophys. Res. Lett. https://doi.org/10.1029/2018GL077430 (2018).